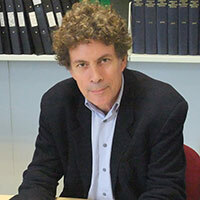 Professor Andrew Boon joined The City Law School in September 2012. Before coming to City he was Dean of the School of Law at the University of Westminster, London. He served on the Law Society's Training Framework Review Group and as Vice-Chair of the Bar Standards Board's Education and Training Committee. He was recently consultant to the Law Society of England and Wales on introducing legal ethics to the compulsory curriculum for undergraduates and to the Solicitors Regulation Authority on the mandatory scheme for continuing professional development. He is a Convenor of the Lawyers and Legal Professions stream for the Socio-Legal Studies Association Annual Conference. Boon, A. (2014). The Ethics and Conduct of Lawyers in England and Wales. Hart Pub Limited. ISBN 978-1-84946-669-1. Boon, A. (Ed. ), (2017). International Perspectives on the Regulation of Lawyers and Legal Services. Oxford, Portland, Oregon: Hart Publishing. ISBN 978-1-5099-0517-1. Boon, A. (2015). Lawyers’ Ethics and Professional Responsibility. Bloomsbury Publishing. ISBN 978-1-5099-0180-7. Boon, A. (2017). The Regulation of Lawyers and Legal Services. In Boon, A. (Ed. ), International Perspectives on the Regulation of Lawyers and Legal Services (pp. 1–26). Oxford and Portland, Oregon: Hart Publishing. ISBN 978-1-5099-0517-1. Boon, A. (2017). Cocktails of Logics - Reform of Legal Services Regulation in England and Wales. In Boon, A. (Ed. ), International Perspectives on the Regulation of Lawyers and Legal Services (pp. 209–239). Oxford, Portland, Oregon: Hart Publishing. ISBN 978-1-5099-0517-1. Boon, A. (2017). Innovation and Change in the Regulation of Legal Services. In Boon, A. (Ed. ), International Perspectives on the Regulation of Lawyers and Legal Services (pp. 241–269). Oxford, Portland, Oregon: Hart Publishing. ISBN 978-1-5099-0517-1. Boon, A. (2015). Regulation and discipline. In Boon, A. (Ed. ), Lawyers’ Ethics and Professional Responsibility (pp. 63–104). Oxford: Hart Publishing. ISBN 978-1-84946-784-1. Boon, A. and Fazaeli, T. (2014). Professional bodies and continuing professional development: A Case Study. In Crowley, S. (Ed. ), Challenging Professional Learning (pp. 31–53). Abigndon: Routledge. ISBN 978-0-415-81693-9. Boon, A., Bacquet, S., Whyte, A. and Webley, L. (2009). Making Legal Aid Solicitors? : The Training Contract Grants Scheme. In Buck, A., Pleasance, P. and Balmer, N. (Eds. ), Reaching Further: Innovation, Access and Quality in Legal Services (pp. 143–165). Norwich: The Stationary Office. Boon, A. (2017). Understanding lawyer default in England and Wales: an analysis of insurance and complaints data. International Journal of the Legal Profession, 24(2), pp. 91–108. doi:10.1080/09695958.2016.1227261 . Boon, A. (2016). The legal professions’ new handbooks: Narratives, standards and values. Legal Ethics, 19(2), pp. 207–233. doi:10.1080/1460728x.2016.1209811 . Boon, A. and Whyte, A. (2012). Icarus falls: The coal health scandal. Legal Ethics, 15(2), pp. 277–313. doi:10.5235/LE.15.2.277 . Boon, A., Urwin, P. and Karuk, V. (2011). What Difference Does it Make? Facilitative Judicial Mediation of Discrimination Cases in Employment Tribunals. Industrial Law Journal, 40(1), pp. 45–81. doi:10.1093/indlaw/dwq030 . Boon, A. (2010). Professionalism under the Legal Services Act 2007. International Journal of the Legal Profession, 17(3), pp. 195–232. doi:10.1080/09695958.2011.580561 . Boon, A. and Whyte, A. "Lawyer Disciplinary Processes: An Empirical Study of Solicitors’ Misconduct Cases in England and Wales in 2015". Legal Studies. Boon, A., Whyte, A. and Sherr, A. (2013). THE DISCIPLINARY PROCESSES OF THE LEGAL PROFESSION. London: University of Westminster. ISBN 978-0-9927330-2-5.